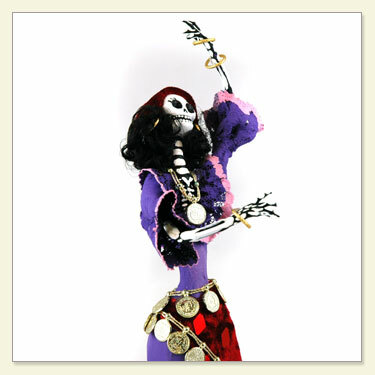 This hand-painted and finely detailed Catrina figurine is made from clay, rice paper and cloth. 14" tall and 6" wide. Each doll is custom made. Hand signed by the artist, too. 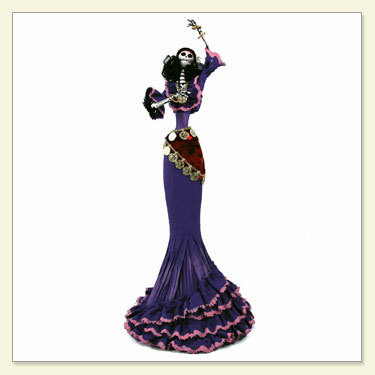 As this is a custom work of art please be aware that we require xtra time for shipping the dolls. We have sold out of this doll and the artist is extremely difficult to reach, but if we ever procur any more we will bring her back.